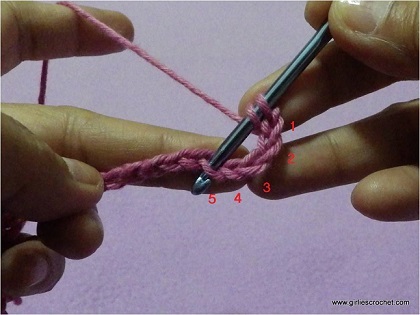 In English books, you can read it like this dc. 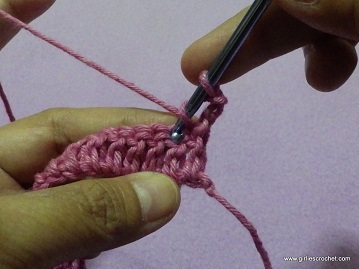 A double crochet or dc is about twice the height of a single crochet stitch. 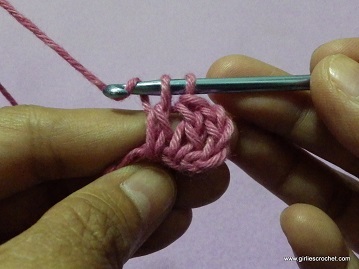 This is a popular stitch producing looser fabric than single crochet. 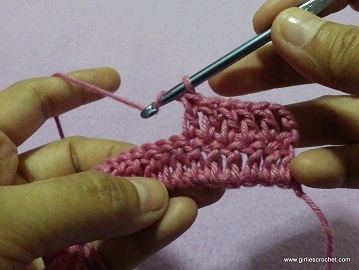 In this tutorial you will see the step-by-step procedure on how to make a double crochet in foundation chain and double crochet in second row. 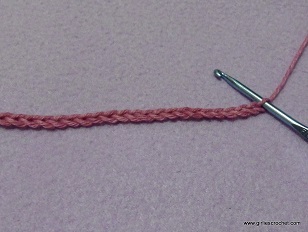 Step 1: When working the first row of double crochet on the foundation chain, start your stitch in the fifth chain from the hook (3 skipped chains count as double crochet, 1 skipped chain count as foundation chain). 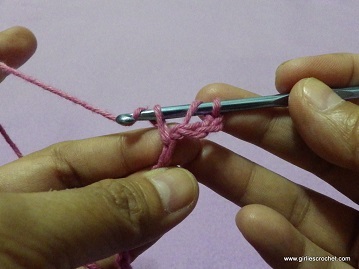 Step 2: Draw the yarn through the stitch, there are now four loops on the hook, yarn over the hook again, draw the yarn through two loops. 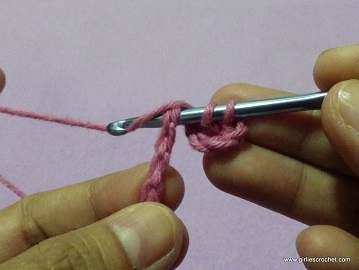 Step 3: There are three loops on the hook now, yarn over the hook again, draw the yarn through two loops. 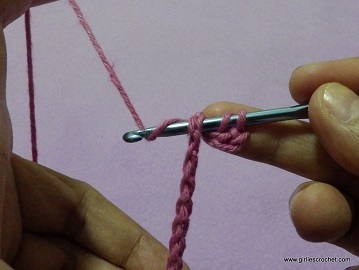 Step 4: Draw the yarn through two loops, there are two loops remaining on the hook. 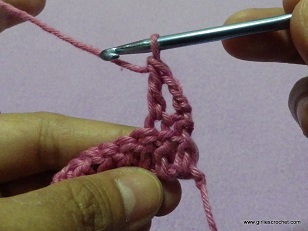 Step 5: Yarn over again, and draw it through the remaining loops on the hook. 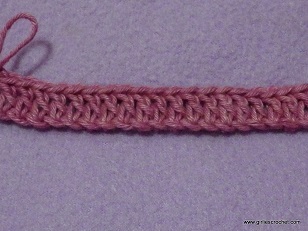 One loop remain on the hook. 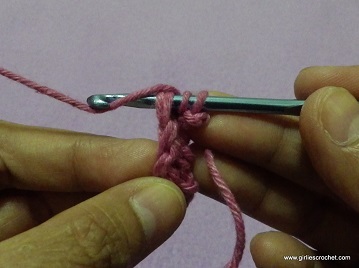 One double crochet made. 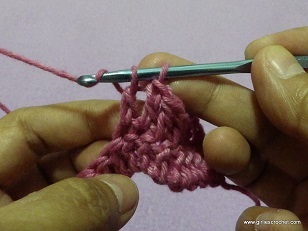 "Practice Makes Perfect". 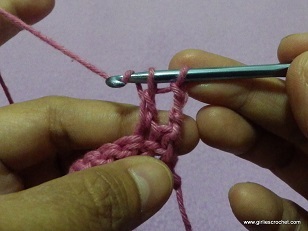 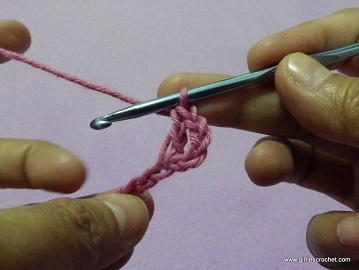 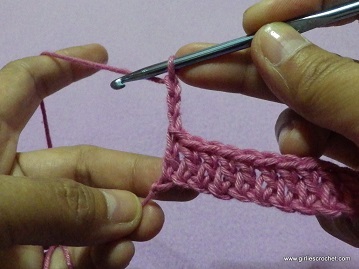 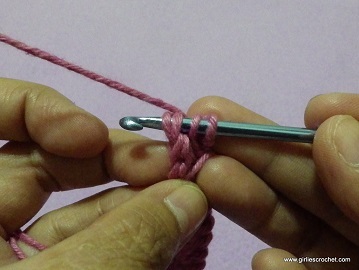 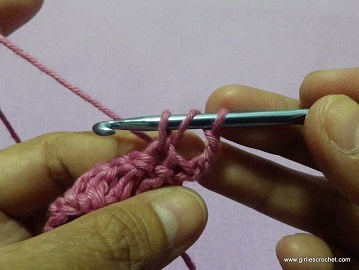 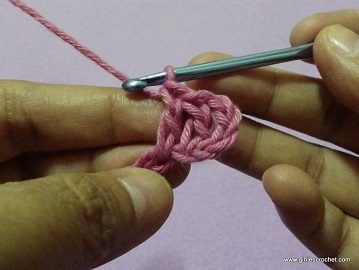 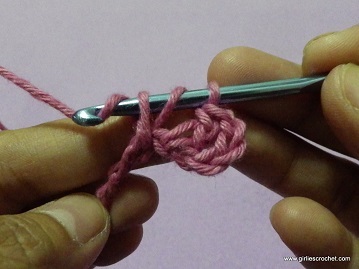 Having enough practice with this stitch will get you better as crocheter. 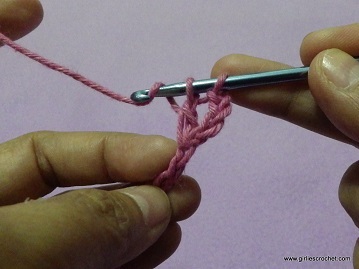 Step 1: When working the double crochet (dc) on the next row, always chain 3 (3 chains count as your first double crochet (dc)), then turn, skip first stitch and start your second double crochet (dc) in the next stitch. 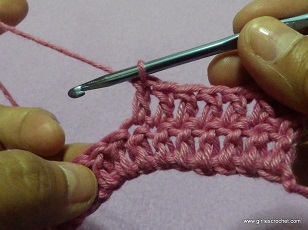 Step 2: Place the yarn over the hook and then insert the hook through the upper two strands of the stitch to be worked. 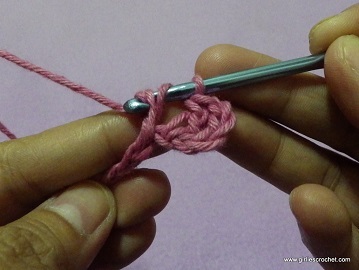 There are three loops on the hook. 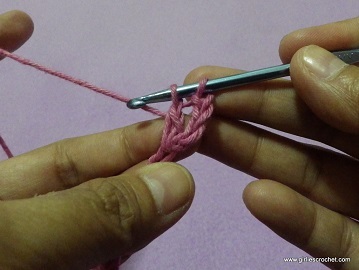 Step 5: Draw the yarn through the remaining two loops on the hook. 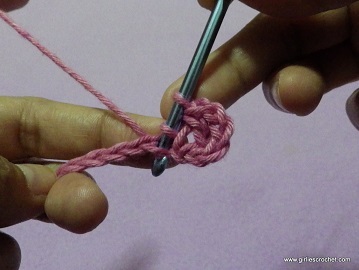 One loop remains on hook. 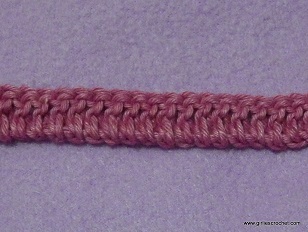 One double crochet (dc) made.